The Carolina’s Chapter has made amazing progress despite rainy weather and high winds. They are fast becoming the FDVG’s most promising state chapter. 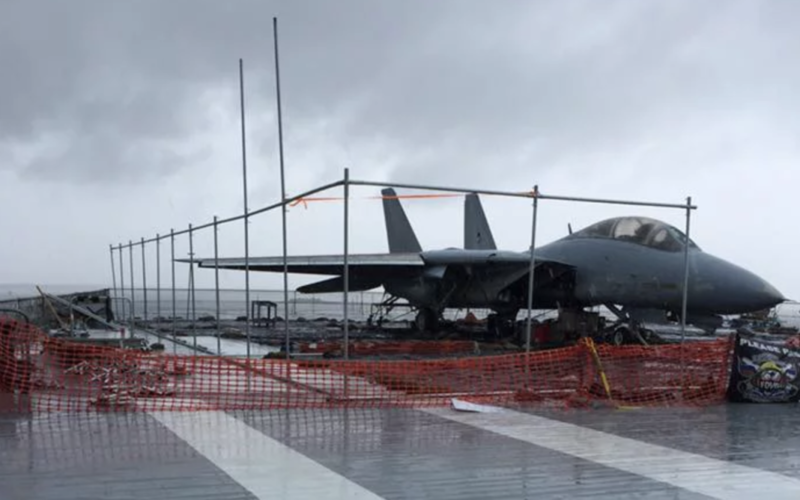 This past weekend they started the process of erecting a tent in preparation of painting the F-14 Tomcat. Surface Technologies donated the custom-made tent. No money was raised, borrowed, or donated for this restoration project, from sanders to sand paper, compressors, generators to safety equipment all was purchased or donated from our volunteers and these members travel to the Yorktown every weekend from all over the country at their own expense to volunteer. Fuel, food, and lodging come out of their pocket—a testimony to the dedication our members show on these types of projects.